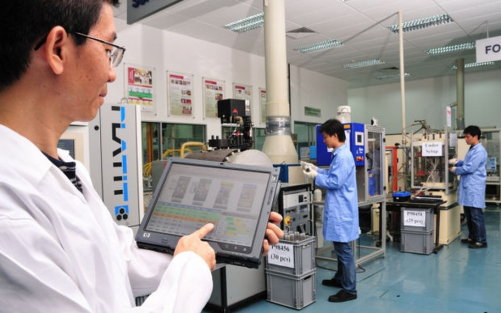 Mission-oriented research and development by A*Star has resulted in over S$380 million in industry investment for more than 1,700 projects in the first nine months of fiscal 2014. According to the agency, by the end of the current fiscal year on March 31, the number of projects will jump to over 2,000 and the investment number will be revised upwards. In its annual report for 2014, the Agency for Science, Technology and Research reported that it grew new industry research clusters through public-private partnerships, generated startups, and nurtured a steady pipeline of scientific talent that contributed to the vibrancy of Singapore's research, innovation and enterprise ecosystem. "Investment in R&D will continue to be critical for Singapore's continued shift towards a knowledge-intensive and innovation-driven economy, and our focus on productivity-driven growth with less dependence on lower-skilled labour over time," an A*Star spokesman said. A*Star chairman Lim Chuan Poh said that R&D needs to be at the forefront of Singapore's efforts to remain innovative in order to stay ahead of global competition. "Our continuing efforts to collaborate with small, medium and large local enterprises as well as the multinationals will be important for the future of Singapore, bringing growth and societal benefits to Singaporeans," Mr Lim added. In 2014, 19 joint labs were opened by A*Star's industry partners, an increase from 14 labs opened in 2013, and bringing the total number of joint labs and labs-in-RIs (research institutes) to 40 since fiscal 2011. Mr Lim said that the increase signifies the commitment from industry partners to deepen their research activities in Singapore, leveraging A*Star's full spectrum of R&D capabilities ranging from biomedical sciences, chemicals, electronics and info-communications to manufacturing and materials. There has also been a step-up in its engagement with large local enterprises (LLEs), with joint labs being established with, among others, DBS and Singtel in fiscal 2014. At the moment, A*Star has ongoing programmes with nine LLEs. Mr Lim noted that over 60 per cent of A*Star's industry projects in fiscal 2014 to date have been with multinational companies and LLEs, while the remainder have been with small and medium-sized enterprises (SMEs). He added that A*Star's aerospace programme welcomed Airbus as its newest member last year. "Another example is in the area of advanced equipment development for electronics, with A*Star launching four semiconductor joint labs between the Institute of Microelectronics (IME) and 10 partners across the industry value chain." The advanced semiconductor partners are Applied Materials, Dai Nippon Printing, DISCO, KLA-Tencor, Mentor Graphics, Nikon, Panasonic Factory Solutions Asia Pacific, PINK, Tokyo Electron Ltd, and Tokyo Ohka Kgyo. During the year, A*Star stepped up its innovation-driven productivity initiatives through its Technology Adoption Programme (TAP), which expanded from covering six sectors to 10. TAP aims to improve accessibility that SMEs have to technology in order to enhance productivity and innovation. This is done through a team of intermediaries that provide advice and also link up technology needs of companies to suitable solution providers. It addresses the following sectors: aerospace, construction, food manufacturing, food services, infocomm-media, healthcare, logistics, marine, precision engineering, and retail. Giving an example of the benefits accruing to SMEs, Mr Lim said that a simple image-recognition technology helped precision engineering company Feinmetall achieve greater productivity by allowing customers to scan logos of equipment and easily access instruction manuals or training videos immediately, instead of using hard-copy documents or deploying technicians on-site. In addition to Feinmetall, about 620 other SMEs also collaborated with A*Star, he added. Sixty-six per cent of the 206 commercial licences awarded by A*Star's commercialisation arm Exploit Technologies Pte Ltd (ETPL) went to SMEs in fiscal 2014, compared to 56 per cent of 232 licences in fiscal 2013. A*Star also works closely with Spring Singapore to upgrade technological capabilities of local companies for growth through initiatives such as Get-Up (Growing Enterprises through Technology Upgrade), running since 2003. One of the flagship initiatives is the secondment of research experts to industry to enhance R&D and technological capabilities for business growth. In fiscal 2014, 480 companies benefited from Get-Up. Mr Lim added that A*Star continued to build up the scientific talent pipeline in 2014, awarding 127 scholarships under the A*Star Graduate Academy (A*GA). To date, about 500 scholars have completed their PhD studies or post-doctoral fellowships and are contributing to Singapore's R&D ecosystem in various capacities such as research with A*Star, academia, industry, and participation in other R&D-related fields such as intellectual property management, commercialisation or research administration. He also noted that 2015 marks the culmination of A*Star's 15-year journey in realising Singapore's integrated R&D vision at one-north.